The carnage in the real estate market echoes that of the Great Depression, when millions of Americans lost their homes to foreclosure. Why do lenders prefer short sales to foreclosures? Generally speaking, a foreclosure represents a greater loss to the lender. Attorney’s fees, trustee fees, holding and maintenance costs continue to add up month over month. In addition, banks are in the money business. They can’t lend against an REO property because it’s a non-performing asset. Banks are seriously under staffed. The employees are over-worked and under-trained to deal with the bombardment of loan modification applications and short sale files. Additionally, government programs, ever-changing guidelines, and local market fluctuations add to more chaos and confusion to the short sale process. There are a number of real estate agents who claim to be “Short Sale Specialists”. The fact of the matter is that very few agents have the skills and training necessary to process, negotiate and close a short sale transaction. Process: Short sale packages must be submitted according to lender guidelines. Untrained agents and/or agents lacking experience are often the reason short sales do not close. Negotiate: Most agents are not trained and skilled negotiators. They simply do not have the skills to negotiate the most favorable terms possible for the homeowners. Close: Agents, buyers and sellers often carry unrealistic expectations regarding the process and the length of time it takes to obtain lender approval on a short sale. One of the most common misconceptions is that the first mortgage holder is the sole decision maker in approving a short sale. The fact is, 3rd parties frequently block short sales. Among the 3rd party objectors are tax lien holders (property, income, estate and/or corporate franchise tax) and mechanic’s lien holders. 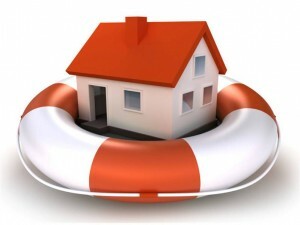 It is also possible for junior lien holders and PMI insurance companies to prevent a short sale. Short sales are complex and highly specialized real estate transactions that should only be handled by experienced professionals with the proper credentials and resources.